Australian sprinter and hurdler who took home the bronze medal in the 4x400m relay event at the 2009 World Championships in Berlin. He also won gold in the 400m hurdles at Summer Universiade the same year. He earned his degree in Engineering and Commerce from Australian National University. 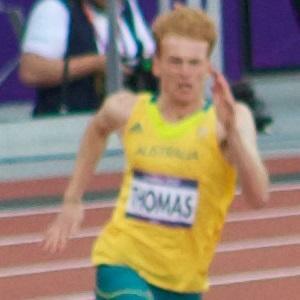 He set a Tasmanian record in the 400m hurdles and became the second-fastest Australian ever in the event. His father is Damon Thomas. He and Darren Clark are both famous Australian sprinters.